Four new styles! 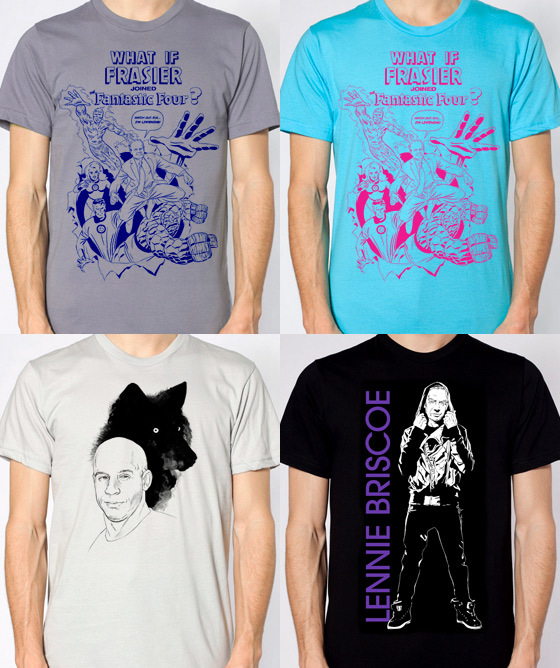 Including Lennie Bieber, Spirit Animal, and Frasier in both a blue/grey and eye-gouging magenta-on-cyan combo! All are printed on comfy unisex American Apparel 2001 shirts. Click here to check them out and place an order!